Includes Free CD Of The Entire EP! Born to Sudanese and Scottish parents, Eliza Shaddad is a new singer/songwriter based in London. A descendent of a long line of artists and poets dating back to the 1800’s, Eliza’s great great grandfather was James Paterson, one of the Glasgow Boys—a group of artists challenging the style and subject of late Victorian Scottish painting. As a vocalist and writer with chart-dominating electronic outfit Clean Bandit, Eliza appears on their UK Shanty and Mozart’s House EP’s and forthcoming debut album New Eyes (Atlantic Records). With Clean Bandit she has appeared on Channel 4, XFM and BBC Radio 1, in addition to live dates supporting Rudimental, Redlight, SBTRKT, and Mercury Prize-Winners Alt-J. She has also played across the UK supporting the likes of Michael Chapman, Rue Royale, Finley Quaye, Dry the River and Rhodes to name a few. We first came across Eliza in early 2013, playing a stripped down acoustic set in the back of busy pub in East London. In seconds she had silenced the loud crowd with her mesmerising and distinctive voice. We’ve been in love ever since. ‘You For Me’ is the first track to be leaked from her highly awaited debut EP, Waters. A four-track EP that has been nurtured over the past year and produced by Mercury Music Prize nominated Chris Bond — the huge talent behind Ben Howard. 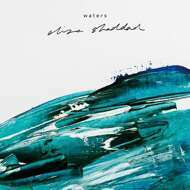 Waters promises to highlight Eliza as one of the most exciting new musicians of 2014.